Using our online Design Center, you can see exactly what your customized garage doors will look like. Use the tool to see how a bold new color would look on your garage door, or mix and match panel designs and window shapes. Compare the visual impact of a sleek steel door versus a wooden one in warm, natural tones. Using decorative hardware, you can add even more detail and interest to your garage door and make sure it matches the rest of your home. 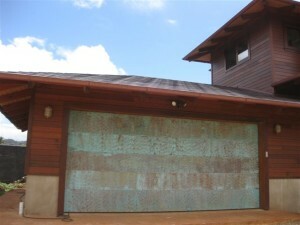 High-quality custom garage doors Oxnard CA require high-quality, professional installation. Failing to install the doors or opener system correctly can cause problems down the line. For instance, failing to tighten all of the screws and cables properly can lead to a noisy garage door that may open and close jerkily and end up putting stress on the entire system. When you work with Carroll Garage Doors for your custom door design and installation, you don’t have to worry about these kinds of problems. Our rigorous training means that our technicians have the skills and expertise needed to install your new garage doors correctly.